Recently we’ve been reviewing the fundamental skills of posture, control, and connection. Today we’ll take the idea of connection one step further as we feel what it means to suspend from the oar handle. Suspension is all about using our body weight to hang on the oar and help accelerate the handle all the way through the drive. The key is not to create any force Upward off the seat, but to just become weightless off your seat while keeping in contact with it. Everything – forces, handle height, chain – needs to be HORIZONTAL when we row! NO need to do extra Work (W = mgh) by moving stuff up and down every stroke, keep it horizontal! Drills we’ll cover include the Stand Up/Sit Down drill to get the feeling of suspending above the seat. Remember this is an exaggeration to get the correct sensation and feeling of good connection. We will also do the Strap Drill where we statically hang and suspend from the handle while maintaining our body angles and strong postures. Then we’ll do the Strap Drill dynamically by letting the strap out slowly and trying to hold suspension all the way through the drive. For today’s 500m pieces, try to focus on good connection and suspension while keeping a consistent split for all 5 pieces. After you’re done look back at the memory to see what your average stroke rating was for each piece. Whatever piece felt comfortable/efficient and was done at a stroke rating of 28-32 might be a good drag factor for you. Take a couple of minutes to set the damper to that number and check the drag factor on the monitor. Remember that drag factor and try to use it next time you row to see if you still like it. Post your average splits and favorite drag factor to comments! The biggest thing to focus on and practice right now is the fundamentals!!! Body Preparation by Half Slide is Key and Connection to move the handle with the seat out of the Catch is key! If you can Prep and Connect, the suspension will come. Whenever focusing on suspension ensure your abs are engaged and you have a solid hollow body! Protect those discs! 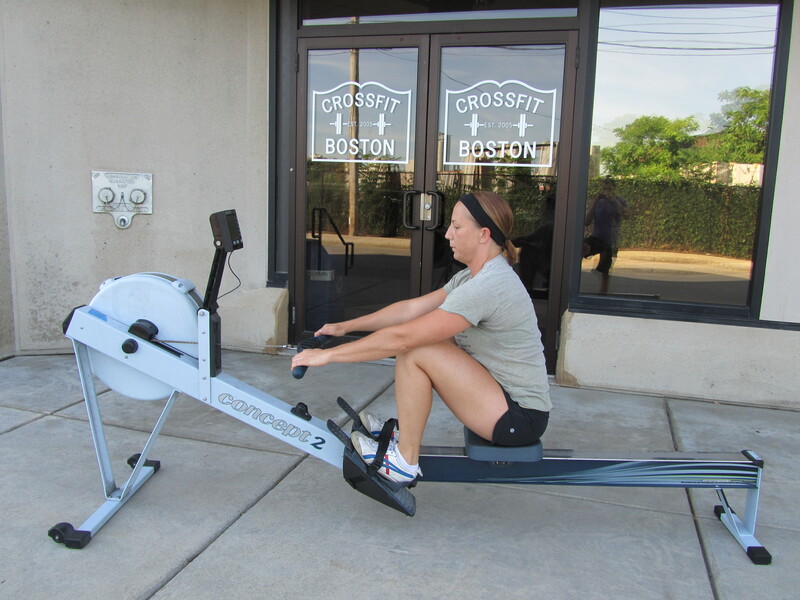 This entry was posted in Rowing and tagged endurance sports, exercise, functional movements, health, recruitment patterns, row 2k, rowing, sports, Strength, training by Renegade Rowing. Bookmark the permalink.